Dictionary of Tosogu artistic themes, three-volume set. - Animals, plants and objects. - Picture example of Tosogu piece on which the theme is depicted. This book set is a fundamental element of every Tosogu library that helps understand historical and cultural background of the Japanese society of that period. Hardcover with dust jacket and slipcase, 1-303/2-323/3-316 pages, black&white and few color pictures, text in Japanese. Known as “Masterpiece of Kokubo Sensei”. 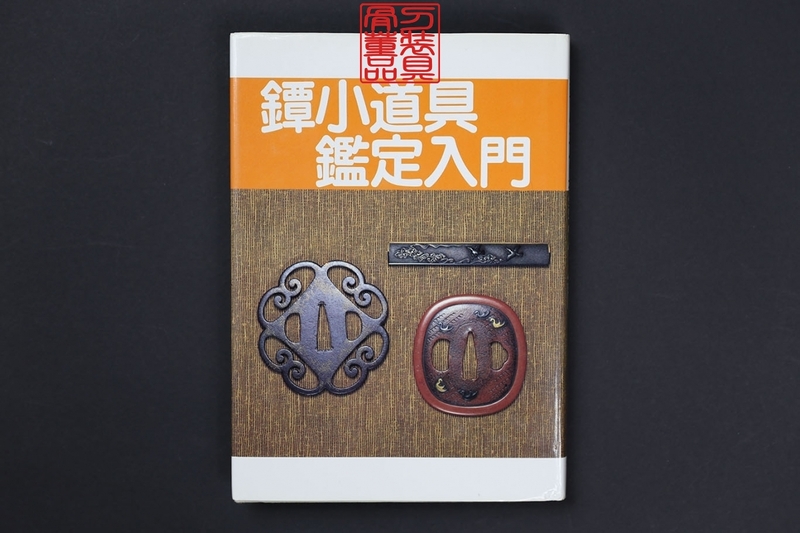 Total 568 pieces of Tosogu, almost all of them Tsuba, are portrayed in every detail. Perfect reference material for Edo period Tsuba, mainly Goto and Kinko. If you want to learn how to distinguish true work from gimei and cast copies this book is definitely for you. Clothbound hardcover with slipcase and original cardboard box, 558 pages, black&white and few color pictures, text in Japanese. Outstanding reference for most important Tsuba. All pieces are portrayed in every detail on high quality photos. This very nice book belongs in the library of every Tosogu collector and enthusiast. Clothbound hardcover with slipcase, 400 pages, black&white and few color pictures, text in Japanese. This book is dedicated to the finest Fuchi-Kashira, Menuki and Kozuka, which are shown on the first 296 pages with many close-ups. The rest of the book is metalworking and design commentary. Clothbound hardcover, 500 pages, black&white and few color pictures, text in Japanese. Light but very representative reference. 180 pieces of Tosogu from all major schools, from early iron plates to later works of Kano Natsuo, are shown on high-resolution photos. No need to use translation software as all the items are commented in English. Perfect book for those who start their journey on the path of Tosogu and those who want to have an all-in-one reference at hand. Clothbound hardcover, 82 pages, color and black&white pictures, text in Japanese and short description of each item in English. Almost a pocket size heavy reference source. Here Tosogu items are divided into groups and artists with examples of their works and signatures. Some presented pieces were never published in other Tosogu books. A must for every serious Tosogu collector and enthusiast. Hardcover with dust jacket, 271 pages, text in Japanese. Volume 1 & 2 - extremely hard to find both together, limited printing of 700 copies each volume. 200 sets of fine Menuki presented in color in each volume. Hardcover with slipcase, vol. 1 - 164 pages, vol. 2 - 148 pages, text in Japanese and English (title, motif). 100 most beautiful Kozuka from the collection of Claude Thuault. One Kozuka per spread with detailed description and collector's annotation. Very interesting part of the book is at the end where Messrs. Thuault and Ogasawara discuss each Kozuka thus demonstrating difference in Western and Far Eastern experiencing of art. This book brilliantly demonstrates how a real collection, of Kozuka in this case, should look like. Hardcover with dust jacket, 270 pages, color and black&white pictures, text in Japanese and English.